Gambled away by her brother, Freya is now bound to the music world's resident bad boy Liam Henderson as his live-in maid. Freya Coleman is a struggling artist who can hardly get by. With a past she would rather not revisit and a future that didn't extend past her next cup of coffee, something had to change. Freya just didn't know how much. Liam Henderson lives in the spotlight. His wild nights and latest conquests make every woman want him, and every man wants to be him. The rockstar has a carefully constructed persona to keep everyone out. That is, until a drunken night gets out of hand and he finds himself with the winning hand in a poker game, and the prize is a feisty redhead. A prize who just might break down the walls he has been so desperately hiding behind. Thrown together, these two are a disaster waiting to happen. A disaster the world is eager to watch and comment on until their fingers drop off. What starts off as a fake relationship to improve Liam’s image, blossoms into so much more, and Freya is swept up into the world of bright lights and illusions. Everyone has an opinion when the lights are shining on their beloved rock god Liam Henderson, and they are eagerly waiting to tear down anyone who is bathed in the famous glow. Can happily ever after exist when the whole world is watching? 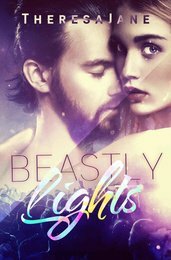 "Beastly Lights is the perfect book. I LOVED the ending, though I hope this isn't the last we see of Freya and Liam. 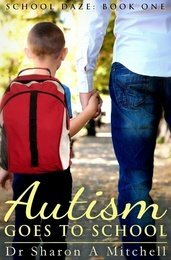 I think this is the best book I've ever read, I la la loved it." - Sylvia R "THIS BOOK GETS REAL! My heart ached at times and raced at times. I cried, I laughed, I got angry, I got excited. It truly had ALL the feels. The mischief that Freya stirs up when she first arrives at Liam's penthouse is laugh out loud funny. I highly recommend this one!" - Maya S.
The coming out story that will completely change the way you look at love, now available for free on Kindle Unlimited. Juliet represents the road less traveled. Will Lena take it? 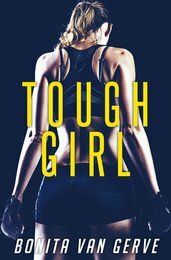 Lena Newman is 17, her best friend’s a cheerleader, her boyfriend’s a football player, and as far as everyone is concerned, her life is sorted. But that’s before she befriends the new girl. Juliet is confident, slightly damaged, drop-dead gorgeous and a lesbian. Lena realizes that her interest goes beyond just friendship. She sets off on a path of self-discovery where the loyalty of those closest to her will be tested. "It feels real without being tedious, and heart-warming without being sappy. It's not all roses, and it's not all doom and gloom. It's great.” - Jon "Just Juliet is the story I wish I could have given to my parents to read when I was 16 so that they knew what I was going through." - Caro M.